Everyone breaks keys and lock picks in the lock at some point. We have just the thing for you to get the jammed keys out of the lock without having to spend crazy money on a call-out locksmith. Our simple-to-use, complete? 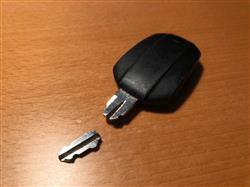 ?set of broken key extractors is great for getting the lock unjammed and functional again? ?without having to drill out the whole lock. Make sure you have all bases covered by adding this kit? ?to your set of universal, always-useful tools. Contains everything you need to remove broken keys and lock picks from jammed locks - even if you're a beginner. The broken key was flush with the lock - pliers or things were useless and we couldn’t get the recommended hack saw blade between the key and the lock. Thee multiple thicknesses if the key extractors meant we removed the key fragment in about 5 minutes. Great product. I broke my key in my door, so I was looking to buy an extractor kit. I originally looked for one on amazon but it would take a week for delivery, I came across the site on google, the set was delivered next day, very cheap price, but good quality. With the kit I was able to remove the broken key after one try. I would definitely recommend, it saved me from paying for a locksmith just to remove the key. Tools are decent quality. I couldn’t get the broken key to come out but that was because it had twisted slightly when it snapped. This wasn’t a fault of the tools though. A great little kit that performs well.